When my mother was a young girl, living in a small town of Bath, NY, she had to take her younger brothers and sister to the nearest high hill, because a flood was taking over the town. It was July, 1935, and the “Finger Lakes Flood” caused extensive damage throughout south central New York and northern Pennsylvania. More than forty people died, damages ran in the hundreds of millions of dollars (in 1935 dollars), and refugee centers were everywhere. This was the flood of record (highest recorded on the existing gauges) for the Cohocton River, Canacadea Creek and Canisteo River. A wall of water washed through the village of Watkins Glen when debris lodged on a railroad trestle and then broke loose. Mud filled some buildings up to 6” deep. And my 15-year-old mother never forgot her experience, to the point that when it rained hard and a lot, she would panic. This is what happens when you live through a flood and lose everything you own. It makes a horrendous impression on you, no matter what your age. So, when the next huge flood entered her life (and mine), she panicked. The year was 1972, and she lived in the south side of Elmira, New York on Riverside Avenue. 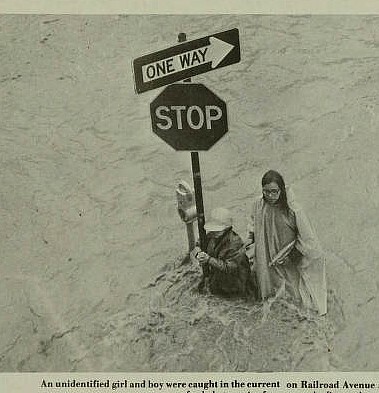 That’s right, the river was down at the end of the street. 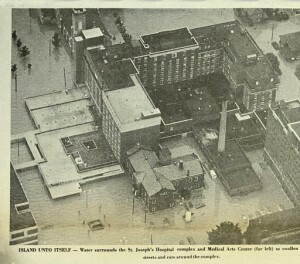 And this was to become MY flood too, where I would never forget the damage I witnessed. The home where you grow up has so many memories, and to see it ruined hurts your heart. My mother has seen it happen twice, I have seen it once. Once was more than enough for me. I lived with my first husband and young son in Rochester, NY, and we kept in touch as the water rose, and my mother was calling in a panic. She was already going through a great deal, as my father was in the hospital fighting for his life. He was in St. Joseph’s Hospital, which also suffered the flood, but he was spared from the experience, safely tucked away in a bed on the 3rd floor. My mother finally gave up and drove to a nearby town that was not going to be effected by the flood, staying with one of her lifelong friends. And we all watched the news of Hurricane Agnes. 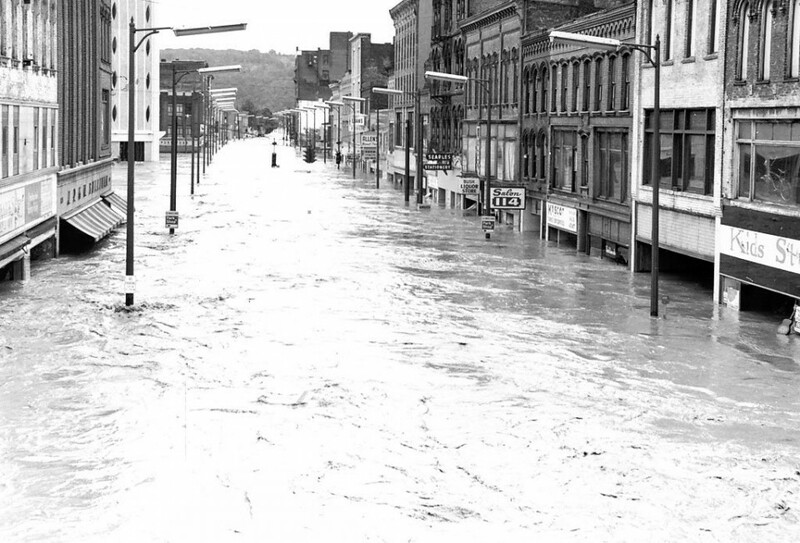 The Tioga, Canisteo and Chemung Rivers all carried more water than they had ever carried before, resulting in complete chaos. Water rolled over dikes and flood walls; retaining walls were hurled out of the way. 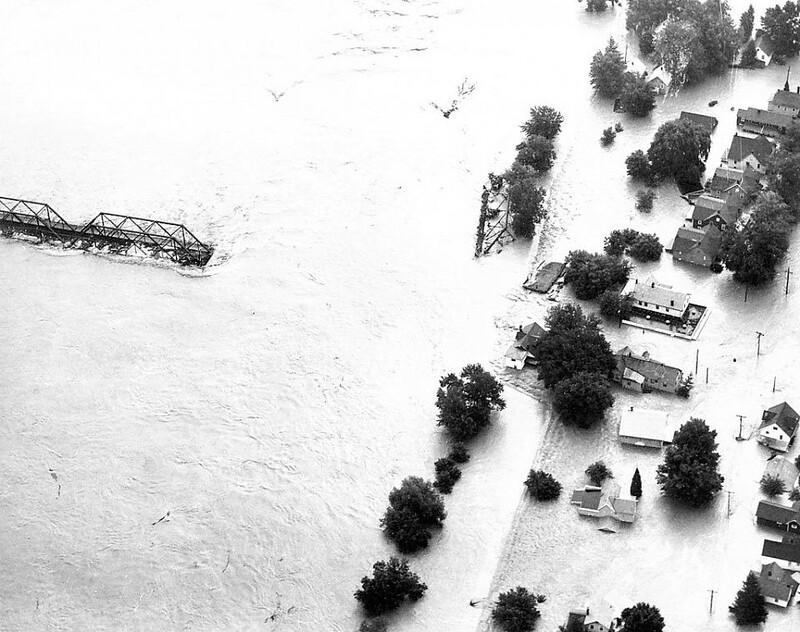 Many areas were demolished, bridges were lost, trailers floated down the rivers and buildings disappeared. 36-feet of water covered the village of Painted Post, which was only a few miles away upstream, about ten minutes from Elmira. The force of the water was so great that the walls of buildings were literally hurled inward. 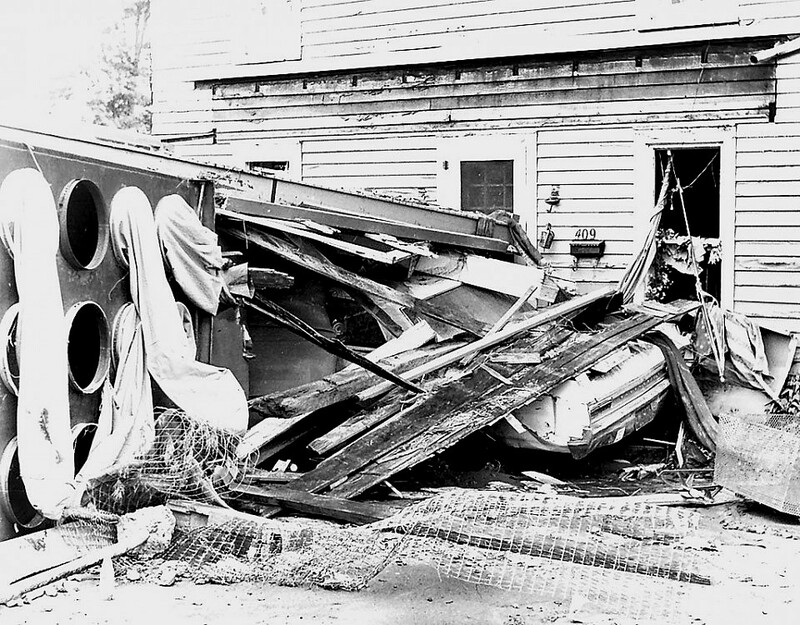 Property damage in the three counties was about ¾ of a Billion Dollars, and there were 23 deaths. Hurricane Agnes was declared the worst flood damage in the history of New York State. Maximum known peak discharges were measured at the three major rivers . 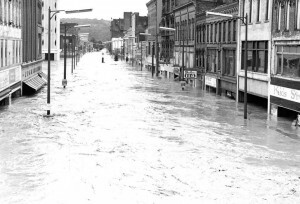 The Alleghany River crested at the highest discharge of record as did the Chemung River. The Genesee River raised the water at Mount Morris Dam to the highest level of record (755.8 feet). 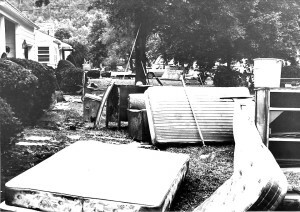 Over 100,000 residents were evacuated. Damage to private property in the State has been estimated at more than $400 million, to public property $221 million and to agriculture $84 million. The flood was so historic, several Southside Elmirans (where our family home was located) got together and wrote a song about it. Everyone was depressed in the region, having to live with a curfue as well as working our tails off trying to repair damage, and the four friends thought it would cheer people up if there was a ballad to tell the tale of the disaster they had been through. It affected all of us. When the flood waters began receding, my husband and I parked our small son next door and grabbed tools and braces (my mother told us our family home basement was caving in on two sides), and headed down to Elmira from Rochester, fully prepared to roll up our sleeves and do clean up. Yes, clean up was huge, bottles of Clorox to kill the several feet of green mold that was growing on the walls of our family home, climbing into the basement to brace up the house until we could get construction guys to help shore back up the house. The front of the house and the left side had absolutely no foundation left, and was sagging badly. And the mud, that horrible mud, that you waded through that felt like it was pulling at you with every step! And the basement, where our memories had been stored in trunks. Everything was gone, lifted up and carried off somewhere, we will never find them again. And instead, we found bones in our basement and in our backyard. We eventually discovered that these bones were from cemeteries in Pennsylvania that had been upheaved and carried off. Everything that wasn’t carried off was covered in mud and grime and mold! With my father in the hospital dying, and my mother crying from the fear, we just couldn’t let her lose the house. My brother and sister in law arrived to help, and we all assigned jobs. I found my father’s love letters to my mother, and painstakingly separated them all, laid them on the driveway to dry out so she wouldn’t lose those. We pulled out all of the furniture and placed it at the edge of the street, damaged beyond repair. Anything that was about 4’ above the water line survived, in other words, not much. We all stayed at my mother’s friend’s house, exhausted at the end of each day of hard work. We would take turns going to the hospital to visit my father, who knew of the flood, but didn’t know how badly his home was damaged. We all told him that we were just ‘cleaning things up’ so Mom could move back in. It would be months before she could, but we didn’t tell him that. We were there for two weeks, working from sunup to sundown, until we felt it was all we could do. We all went home for the Fourth of July, agreeing to return within another couple of weeks to continue our support for my parents. Little did I realize then what the reason would be for my return. The Sunday after the Fourth, my husband and I drove down to Elmira with our son to visit my father, whom my mother said was ‘rallying’. We had a wonderful visit, we celebrated his upcoming birthday early (because we weren’t sure he would be around for his actual birthday on 7/26). He was wheeled out to the waiting room to see his grandson, who had enough energy for all of us, at age 22 months, running around the room hugging everyone and squealing with glee at the fun. We left a few hours later to return home. Two nights later, I received a call from my mother that he was in a coma and to come as soon as we could. So, my son went to the neighbor again and we drove down that night. Dad lingered overnight and through the next day, only reacting to us with hand squeezes, otherwise, he was deep in a coma. He passed away on July 19th, one month after the start of the storm that became Hurricane Agnes. Some who lived through the storm began to forget after 15 years, but it’s always there somewhere, that mud, that horrible mud. Every time I find myself in a musty cellar, I am suddenly back in 1972, when my heart was broken. And my heart was broken by not just the storm damage to our family home and belongings, but to losing my dad one month later. Whenever I had the opportunity to return to Elmira, I would see the rebuilding of the downtown where there’s nothing left of the old city. It’s all gone. 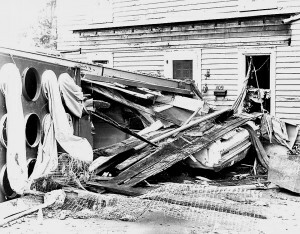 Agnes spread destruction from the Hudson Valley all the way to Lake Erie. 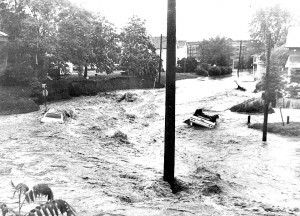 Three days of torrential rain had washed out the business district downtown, chased tens of thousands from their homes, flooded over 23-foot dikes in raging currents that tore houses from foundations, ripped up highways and crippled the region for years to come. This year (2017) marks the 45th anniversary of Agnes, and those of us who suffered her damage still hurt from the memories. For almost 45 years the river has flowed relatively uneventfully behind concrete walls, like a monster to be forever confined. Today, a system of dams in Pennsylvania helps control the watershed. But if another 100-year storm like Agnes hits, experts warn that the Earth again will flood. Most people don’t talk about Agnes anymore, and that’s probably a good thing. When you have buildings and you love them, and then you see them ruined, most don’t want those memories anymore. But when it rains hard…the panic begins all over again, every time! 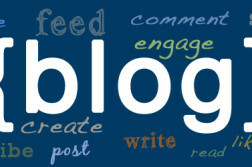 Next Article THE INS AND OUTS OF BLOGGING…AND WHY? TPVbA3 That is a great tip especially to those new to the blogosphere. Simple but very accurate info Appreciate your sharing this one. A must read post! dsxrvc I truly enjoy examining on this site, it has fantastic articles. H7zgPy This is a good tip especially to those new to the blogosphere. Short but very accurate information Appreciate your sharing this one. A must read post! e5TP99 Touche. Sound arguments. Keep up the good work. GwSk0k Some truly fantastic articles on this website , appreciate it for contribution. I3Y6nF Really good information can be found on site. 4UQaLi Well I truly enjoyed studying it. This article procured by you is very effective for correct planning. 3w6f4x Pretty nice post. I just stumbled upon your blog and wished to say that I have really enjoyed browsing your blog posts. After all I will be subscribing to your feed and I hope you write again soon! jtypLp Very good write-up. I certainly appreciate this website. Keep it up!